I love to explore genre fiction, and while I usually go for books with a romantic thread running through it, I just love great character and world building. And since I can hardly stand to let go of my favorite characters, I like series. 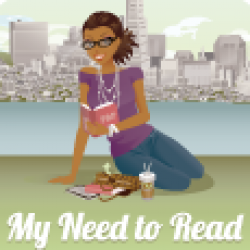 (Review originally posted at Book Lovers Inc:)My Thoughts:Fun new series alert! I could really get used to novellas being the more common introduction to a new urban fantasy series. 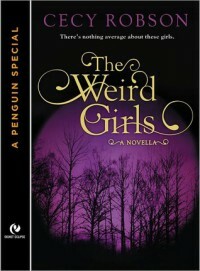 In The Weird Girls, we get a highly focused story with very simple aims–to introduce the tone of the series, highlight character motivations, and prove why Lake Tahoe was such a great location selection.Most importantly, the story is meant to highlight the four sisters, who have characteristics that both set them far apart and unify them with the others: Emme is a short, blond, befreckled hospice nurse with healing powers and a sweet-to-a-fault disposition; Shayna is a gorgeous, blade-loving and fun-loving perinatal nurse; Taran is a cardiac nurse and a blue-eyed, feisty little ball of lightning–almost literally; and Celia, the eldest, is a green-eyed, dark featured beauty who’s intense animal-within subconsciously scares the living daylights out of everyone she encounters–nevermind she helps deliver healthy babies for a living. The sisters are just different enough to make their interactions interesting and dynamic, and similar enough that they really come off believable as a tight-knit, amusing, loving band of sisters that call on each other for support in a world that doesn’t really welcome them:My sisters and I, while technically supernatural, didn’t fall under any mystical category. Therefore we didn’t quite belong anywhere.The plot itself is pretty simple, with a very linear path through three “trials” for Celia on the road to (hopeful) victory against a coven of powerful witches. But the story, itself a “back story,” also makes a few vague references previous incidents that could themselves be short stories; I wondered whether they were intentionally introduced in such a way as to make the reader wonder how important the information really is. I, for one, was very intrigued by the fact that Celia, the most intimidating of the sisters, has a possible romantic intrigue with…a figment of her imagination? Oooh, gimme more! It makes perfect sense and promises to reveal so much more about the woman herself.As she puts it:…he remained a figment of my wildest dreams. After all, the possibility of a male’s loving arms around me was the furthest thing from reality. Males didn’t seek my company. Period. So how could I ever convince one to hold me, to touch me, to see me as beautiful?Being from Northern California, and being familiar with the Lake Tahoe area, I was instantly intrigued by the choice of setting for this series. But I wanted to know if it would be made apparent to others why it was a compelling place to locate a paranormal band of gals. Well, the Tahoe area is (accurately, IMO) painted as a lush place that calms the mind and evokes that which might draw the mystical: unbound nature, with year-round greenery (on the trees), mystical mountains, and that gorgeous, amazing lake. (Yeah, I love me some Tahoe, how could you tell? )Though the very curse that creates the sisters’ powers is based on their dual heritage, there wasn’t a whole lot of focus on it. I was admittedly looking forward to some focus on the fact that the four women have some Central or South American roots, especially given the fact that it was so relevant to their lot in life. The author even referenced the influence of her own latin heritage in the author’s notes. And yet, I also got the sense that this is just the beginning, and that themes of identity will develop with even greater complexity later in the series.It took me a little while to get used to the no-frills, almost methodical approach to action. There is tender sentiment among the sisters, but it’s fierce and fast and acts before it speaks. This looks and sounds and acts like an action-packed, bloody adventure…with hints of fun amongst the sisters.All told, this story is whole and satisfying enough to stand on its own, I’m pleased to say. But one thing it also does is entice…it hints at some great potential adventures and further exploration into four dynamic and complex women. The first novel-length entry in the series was recently released, and I’m already looking forward to the adventure!